IS THERE AN ANALOGOUS RELATIONSHIP BETWEEN THE NET CALIFORNIA IS BUILDING BELOW THE GOLDEN GATE BAY BRIDGE AND THE WALL CALIFORNIA WILL NOT ALLOW TO BE BUILT ALONG THE United States/MEXICO BORDER? From the Pastor’s Laptop: The Suicide Net3/12/2019 H/T: AP Photo/The San Francisco Chronicle, John StoreyYesterday I was riding across the Golden Gate Bridge with a friend. “They’ve begun building the suicide net,” I said, pointing over the left side of the roadway. We stopped our bikes to have a look. Amazingly, an entire superstructure had appeared beneath the bridge, suspended 230 feet above the Bay. After decades of debate, the City and County of San Francisco finally decided to build a steel-wire net under the bridge at a cost of $220 million. It is hoped that the net will save forty lives a year, which is about how many unfortunate souls hurl themselves over the bridge’s 4-foot railing annually. My parish boundaries include the southern half of the bridge, the San Francisco side, from which a person every ten days, on average, jumps to his or her death. Every First Friday we offer an afternoon Mass for their souls. It’s a scene all too many Americans have had to endure. The family of a man who was struck and killed by an illegal alien in September watched as the alien was sentenced Friday to up to 33 months in prison for a hit-and-run causing death. And for the dead man’s mother, it wasn’t nearly punishment enough. According to WTVD, Neri Damian Cruz-Carmano, a man who entered the country illegally, was driving in the early hours of Sept. 1 in Raleigh, North Carolina, when he made a left turn onto another road. An oncoming motorcyclist, identified as 26-year-old Jamar Rashauan Beach of Raleigh, struck the van Cruz-Carmano was driving. The impact was so hard that Beach was decapitated. Cruz-Carmano drove off with Beach’s body still on the van, WTVD reported. “He had no business here in the first place and he should not have been operating a vehicle,” Cameo Robinson, the mother of the man who died, told WTVD. Check out the WTVD report here. 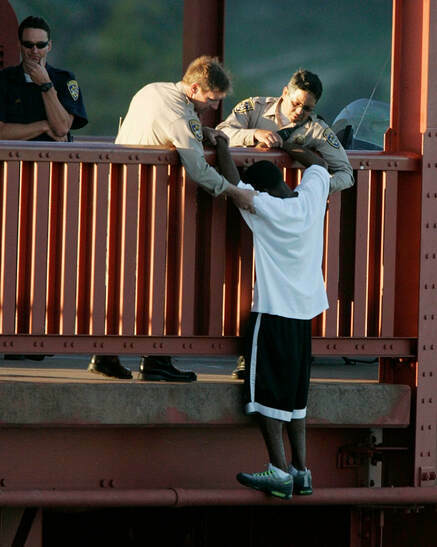 This is the side of illegal immigration liberals don’t want the American public to see, much less talk about. The crimes committed by illegals range in severity, from murders and sexual assaults that make the front pages and go viral on the internet to the kind of “routine” driving infractions like operating a vehicle without a license that mostly get ignored. The people who commit them would not have been in the United States to do it if they had not flouted American laws – even if the Democratic Party and its mainstream media allies don’t want to admit it. But the loved ones of the crime victims know what price the country is paying for allowing its sovereignty to be ignored.